For those of you that aren’t too familiar with how AutoDeal works, or don’t have any idea about the inner working of our platform, this article will be very useful for you. 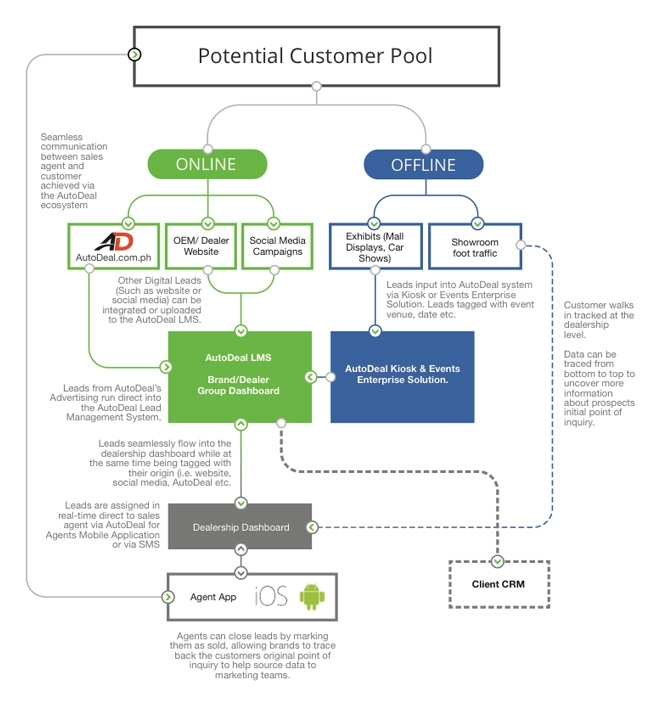 Since 2014, AutoDeal has not only been creating methods to generate leads, but has been building out a complete technical infrastructure to help manufacturers and dealers better understand the real-world tangible results of their marketing efforts. 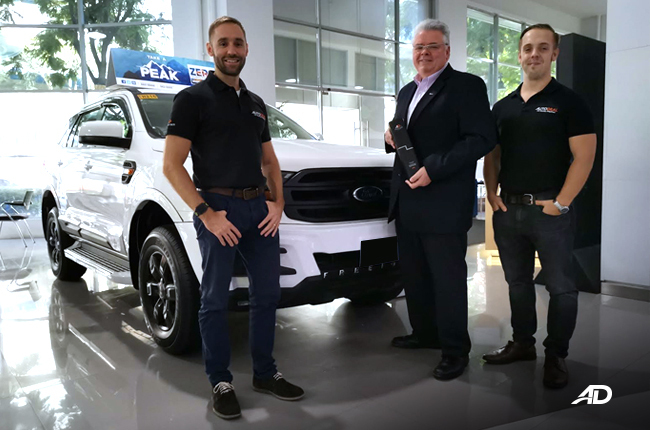 More importantly, we’ve been building a digital ecosystem to help dealers provide better service to customers through clearly defined expectations and deliverables. 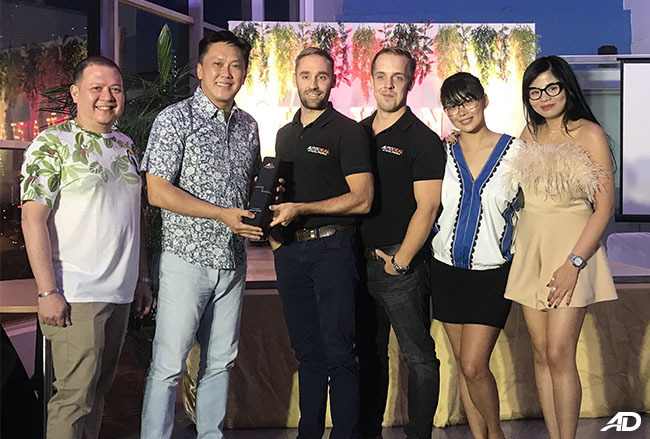 Through partnership with key motoring brands and more than 300 dealers nationwide, AutoDeal has pioneered online customer service in the Philippine automotive industry, helping to improve the quality of online correspondence between buyers and dealers. We’ve tackled many things like dealer response time with great success having significantly reduced response times across the country. If any of you were wondering just how we did it, hopefully the details below will shine a little light. Lead generation begins from a variety of different pages on the AutoDeal.com.ph website. Our comprehensive Car Guide for example lists vehicle specifications, prices and image galleries for every vehicle available on the local market. From here customers can inquire, request a financing quotation or book a test drive. The moment they submit their details, a comprehensive automated and manual verification process takes place to help ensure that dealers receive accurate contact details at the moment the inquiry passes through to them. Once the lead is distributed to a dealer, it automatically gets filtered in a round robin system to an officially registered sales agent. 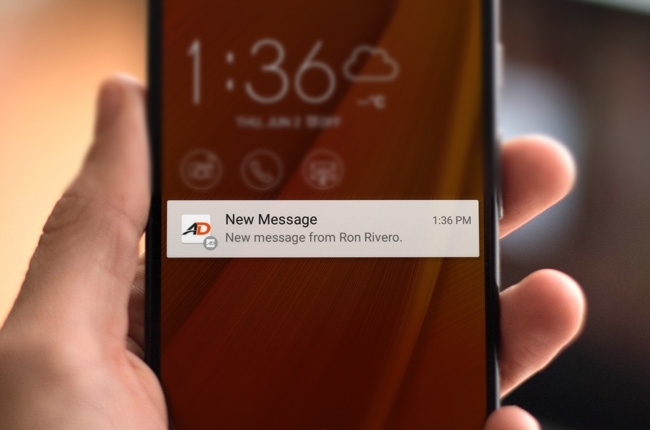 At this point, agents with the AutoDeal for Agents mobile application will receive a push notification on their smartphone as well as an e-mail notification and SMS message. Agents can access their sales agent app or log into their AutoDeal mobile or desktop dashboard to load the customers inquiry and reply to it. Once the agent replies, the customer will also receive an SMS notification and e-mail alert, as well as the ability to continue the conversation online. 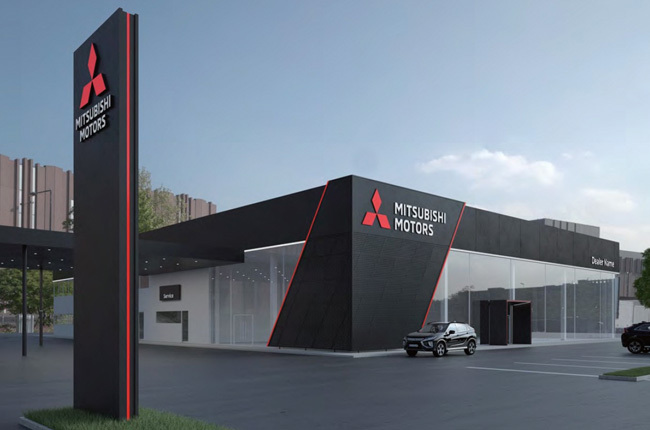 In the event that a customers inquiry goes unanswered, an automatic escalation process will automatically occur, notifying a sales manager at the specific dealership that the inquiry was sent to. At the same time an agent also gets a reminder to address their unanswered inquiries. 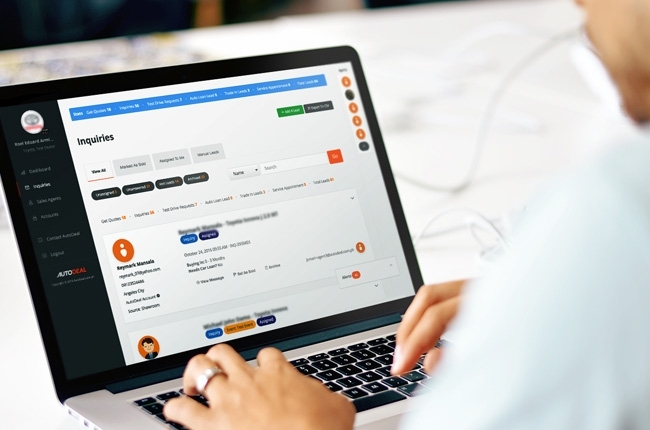 Sales Mangers have the added ability to filter specific inquiries, check the reply times of sales agents and other key-performance-indicators. 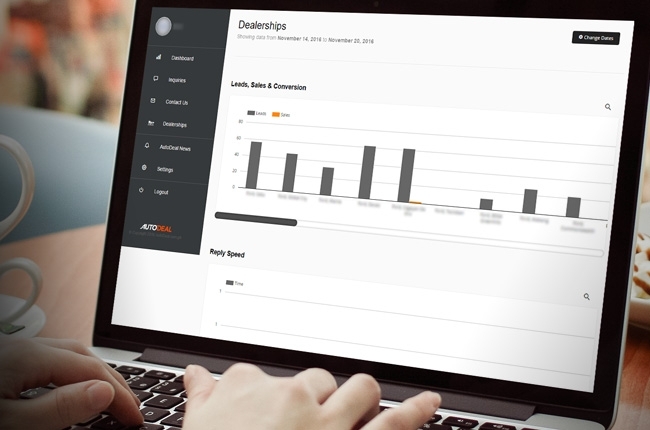 Our group and manufacturer dashboards aggregate data from an entire dealership network as a means to help provide detailed analysis on the performance of every dealer. 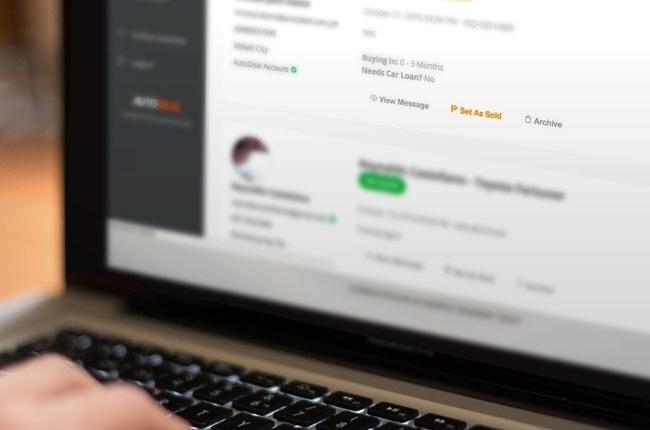 From the group dashboard, dealership sales volume, average reply times and volumes of unanswered leads can be evaluated in real-time. When a sale occurs, the sales agent can mark the unit that was purchased. This procedure instantaneously sends data to the Dealership Dashboard and Manufacturer Dashboard regarding the details of the sale. From here a variety of data related to customer conversion can be evaluated for joint sales and marketing purposes. 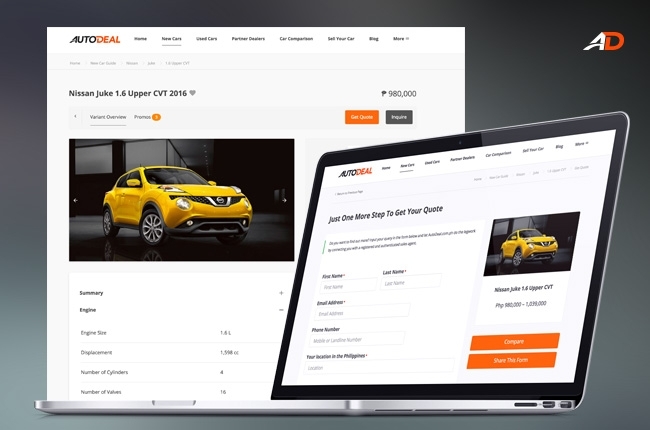 Aside from managing leads generated on AutoDeal.com.ph, AutoDeal’s Lead-Management System also has the capability to help handle other leads that may have been generated on social media, dealer websites or even at real-world offline events. 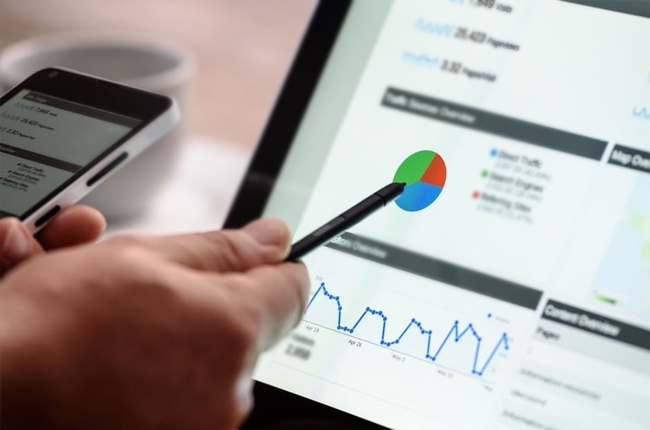 Through a flexible suite of software we enable brands to discover the real-world tangible outcomes of a variety of different marketing initiatives, whether they be real-world events or online campaigns. For more information about becoming an AutoDeal partner, contact sales@autodeal.com.ph.